Azure Key Vault is alive and well! The Azure service allowing you to store keys and secrets in a secured container has been released at the end of summer and it continues to improve. The SQL Server Connector is a component that can be installed on SQL Server (not SQL Azure at this point). It allows you to use the encryption features of SQL, i.e. 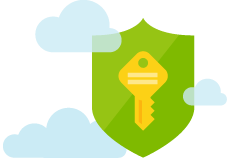 Transparent Data Encryption (TDE), Column Level Encryption (CLE) & Encrypted Backup, while managing the encryption keys with Azure Key Vault. This component now gets an upgrade! Indeed, all Cloud Services have transient error and every clients should be robust enough to live with it. You can download the SQL Connector here.